All paintings on the website are available in Giclee. 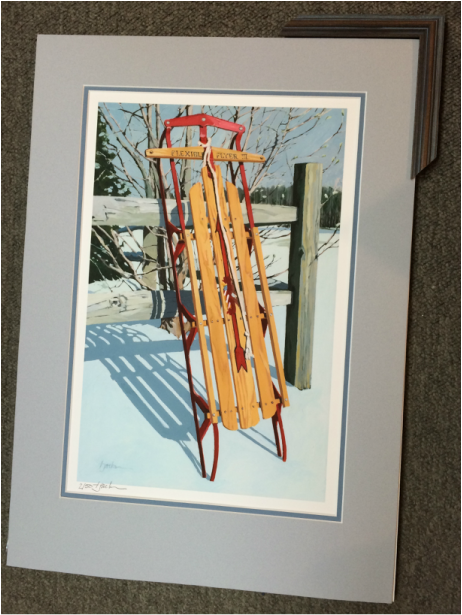 The Giclee process begins with a high resolution digital photo of the original work. This image file can be reproduced on watercolor paper or canvas. These prints are professionally created by Paul Duda Gallery, Brecksville, OH. The gallery has perfected a classic look, reproducing these oil paintings on high quality watercolor paper. The result is the best of both oil and watercolor mediums. The prints easily roll into a sturdy box for inexpensive shipping. As you probably noted, the original paintings are rather large. The additional advantage of Giclee is that a selected painting can be reduced to ANY desired size, with no change in print quality. And of course, the smaller the print, the smaller the cost! If you have interest in ordering a print, please click the Contact Me tab above and I will be happy to assist you in determining size and price options. Giclee print on watercolor paper. Normally framed with 2 1/2" to 3” mat.